This interactive game was commissioned by The Hartford, for their Extra Mile blog. 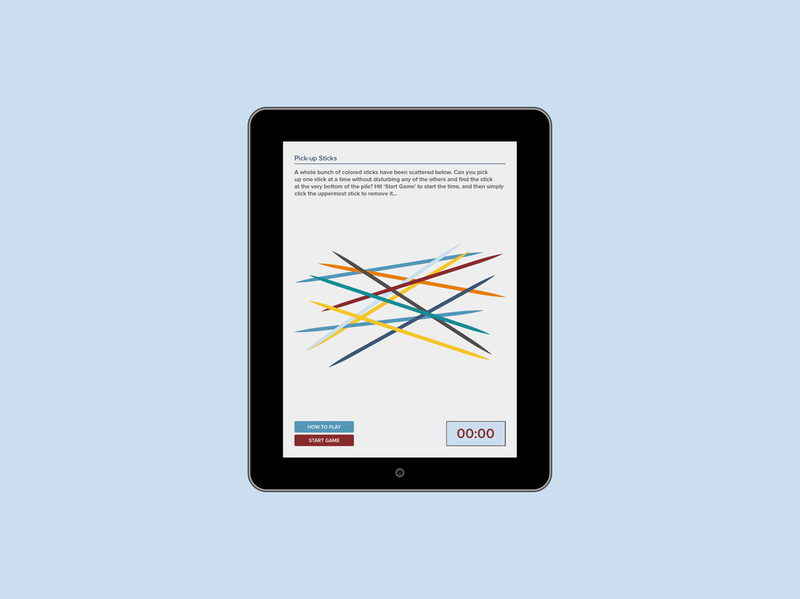 Fully responsive and playable across all devices, this interactive game challenges players to play the classic ‘pick-up sticks’ game with an interactive twist. Using either touch screens on their mouse, players must remove the top stick repeatedly until they reach the stick at the bottom of the pile, all against the clock. They can then share their scores via social media, and challenge their friends. You can view the playable interactive on the Extra Mile blog.